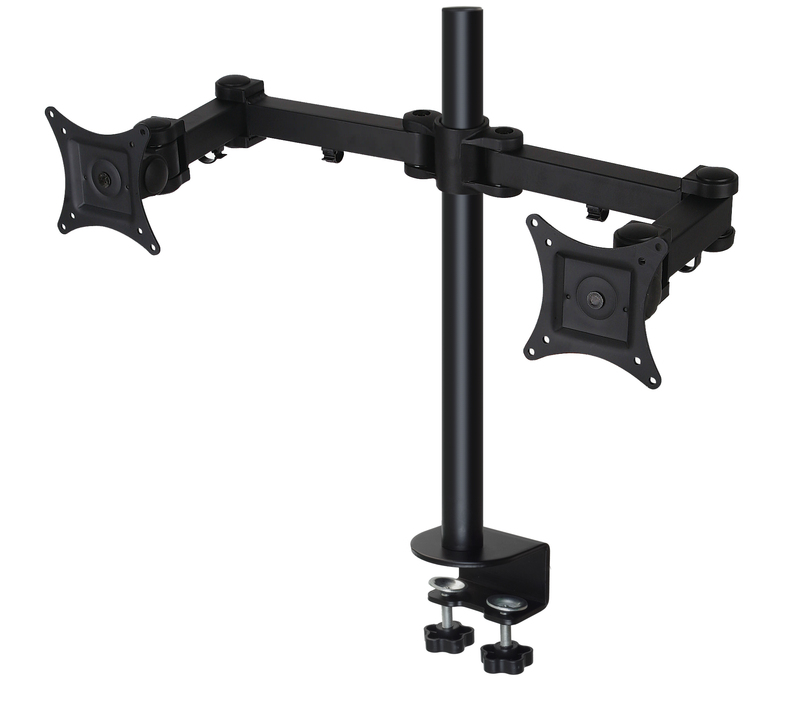 The MDM12D is the desk mount bracket mounts two 15" to 27" LCD monitors side-by-side. Due to its easily adjustable arms and height, with the ability to tilt and swivel screens into the perfect position, the MDM12D is great for making a dual-monitor workspace tailored to the user. It is the twin monitor version of the Allcam MDM1X series (MDM11, MDM12 ...) multiple monitor desk mount brackets with the same black finish, same modules, same features, and same mounting method. Allcam is a direct importer, we design and stock a range of wall brackets, floor stands and desk mount brackets for flat screen monitors/TVs, wholesale inquiries are welcome. These MDM11D LCD Monitor desk mount stands come boxed brand new, with 5 years warranty. Arm Sections (MDM10AL): if the cantilever arm assembly in your MDM1X bracket is not long enough, you can add one or more arm sections. The long arm sections are 190mm (7.48") long, and the short arm sections are 130mm (5.12") long. Customers can easily configure/customise a desktop bracket according to their own requirements. 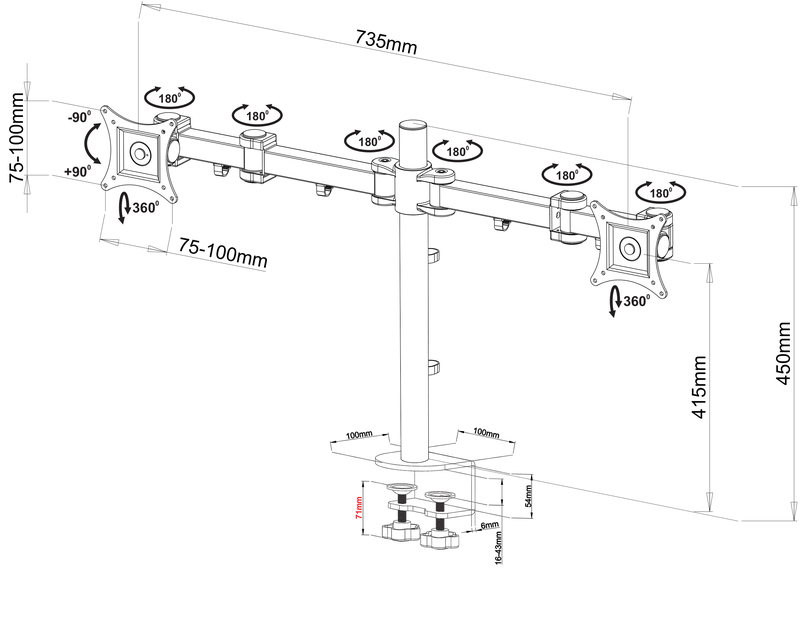 For example, if you want to mount two monitors vertically (one above another) on your desk, you can select 1 x MDMPL long pole, 2 x MDM10JLS single joint locks, and 2x MDM10BKT VESA brackets, see the MDM1X Modules image on the left for illustration.